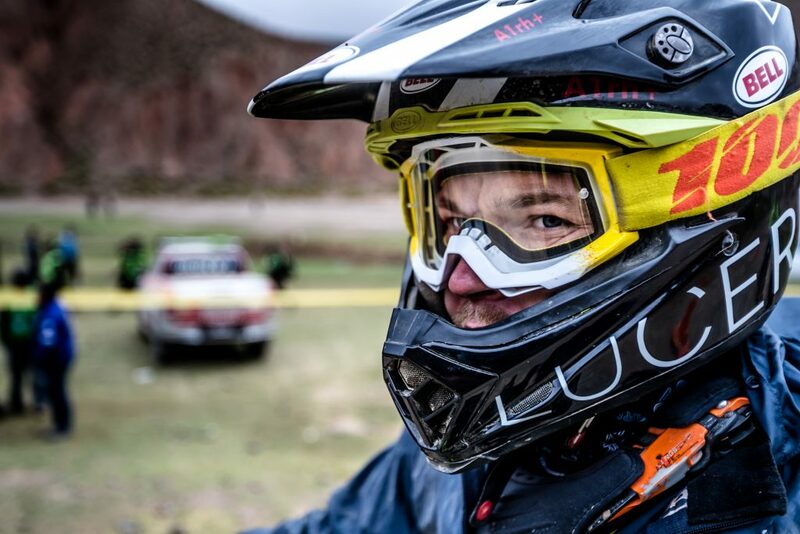 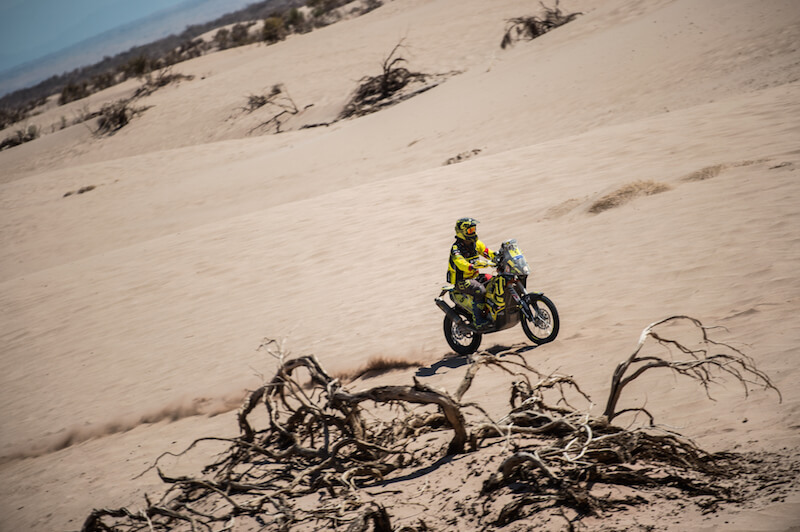 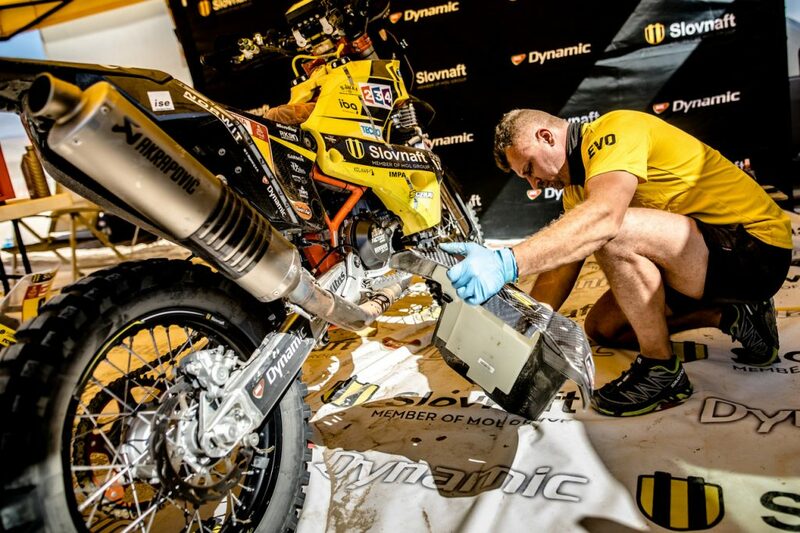 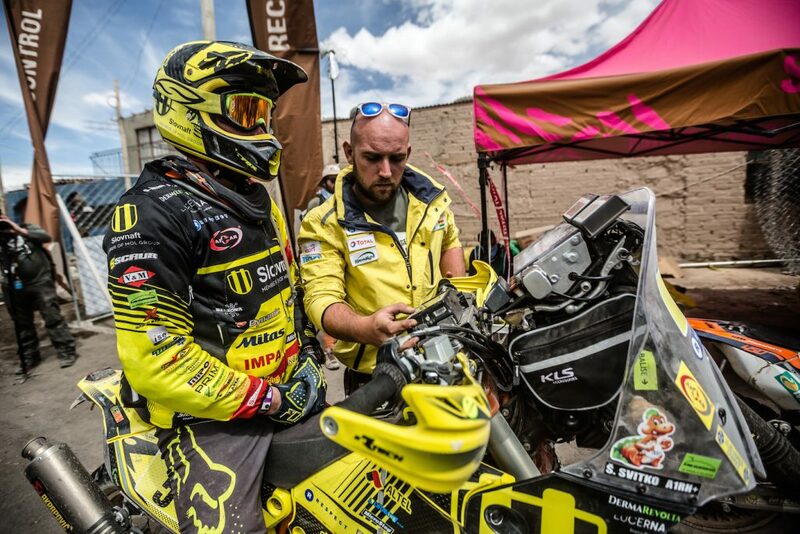 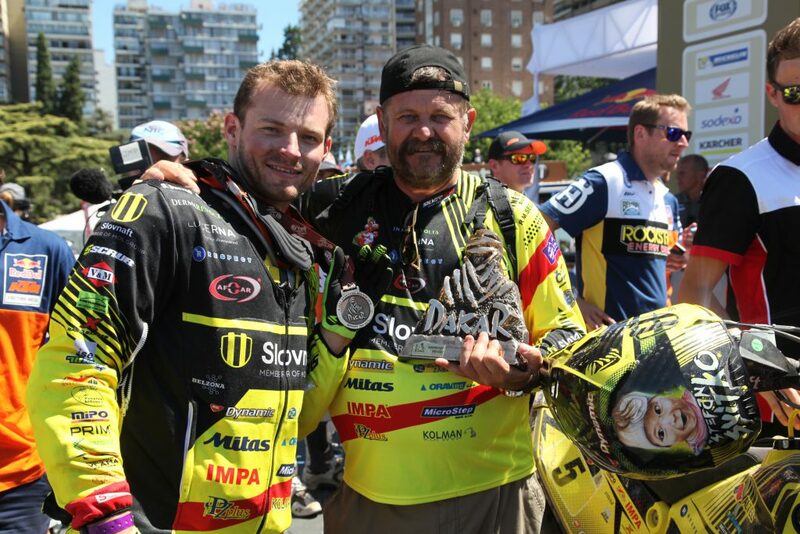 It was the most difficult stage of the Dakar Rally, especially because of the enormous temperatures above 40°C. 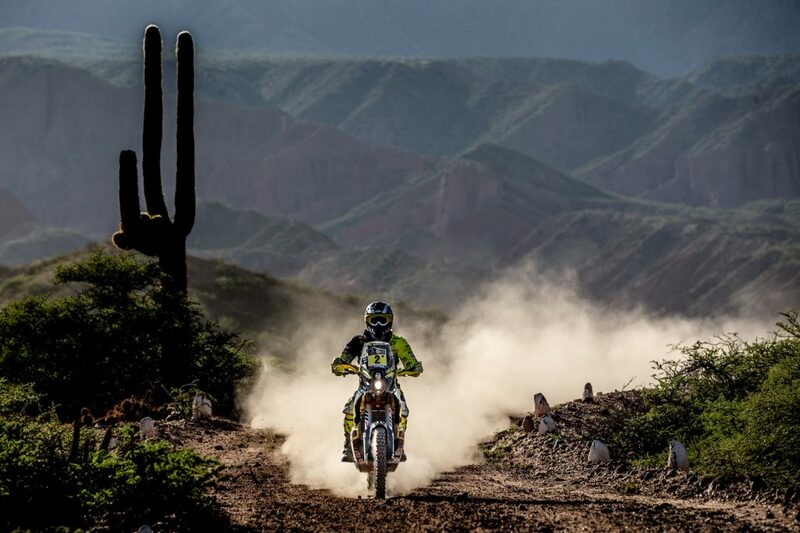 In the opinion of some riders, it was hell. 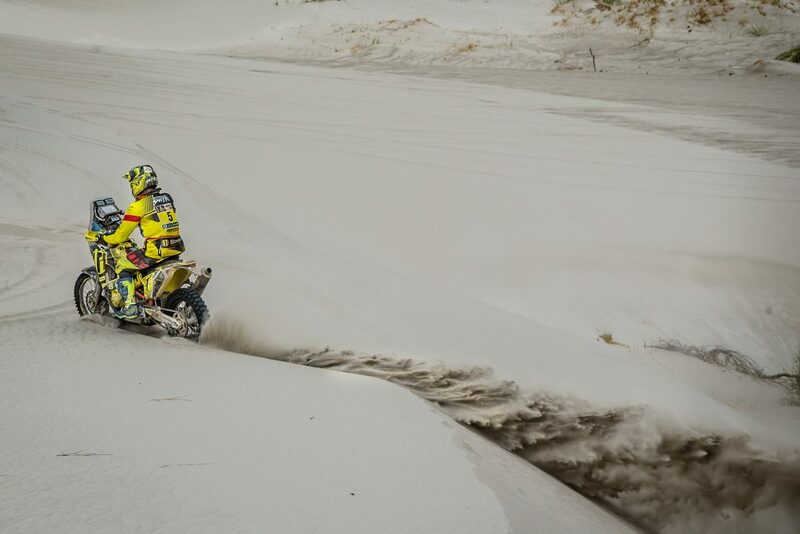 The special stage consisted of two different sections with a very long neutralization zone. The first part was very technical, even trial, leading through dried-up riverbeds with big boulders. 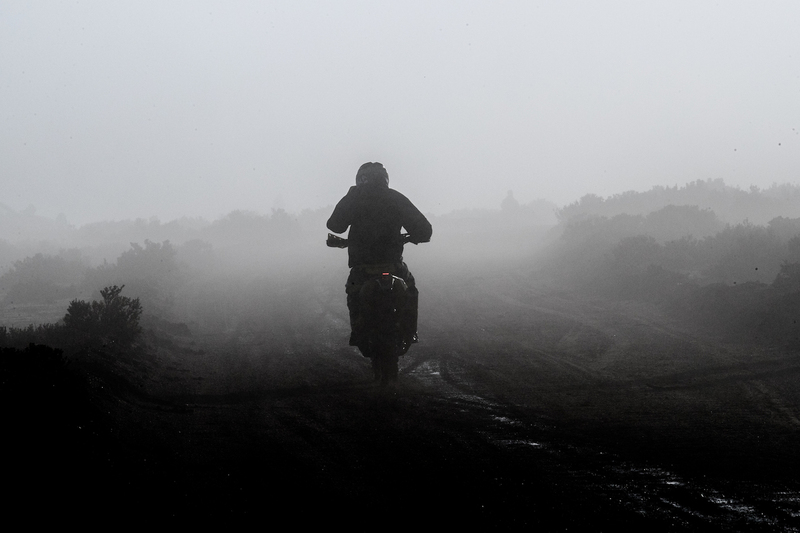 Later, it accelerated significantly. 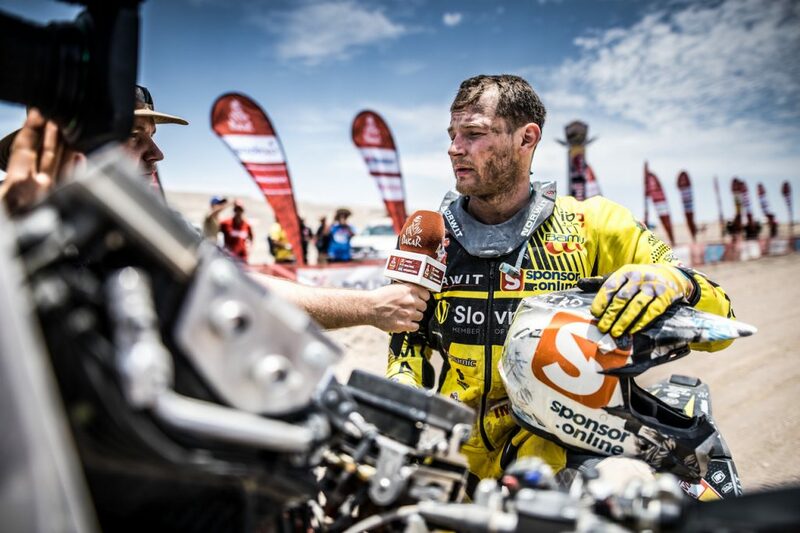 Števo drove magnificently in the 1st part and he finished only 1.5 minute behind the winner and had the 6th best time. 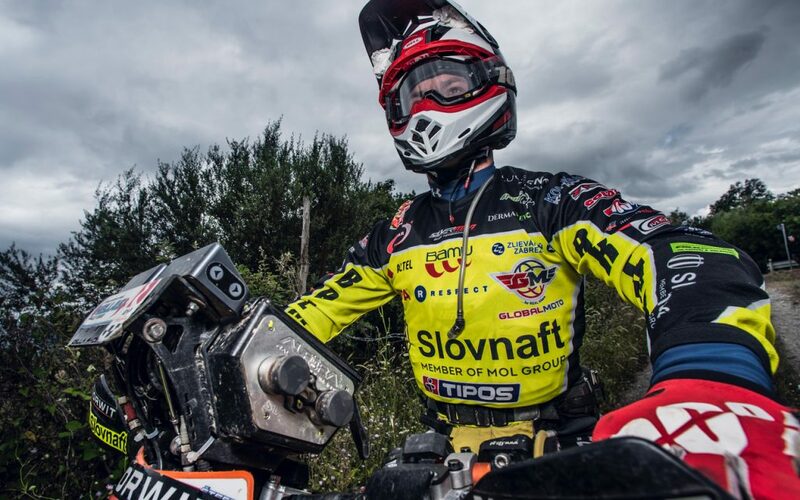 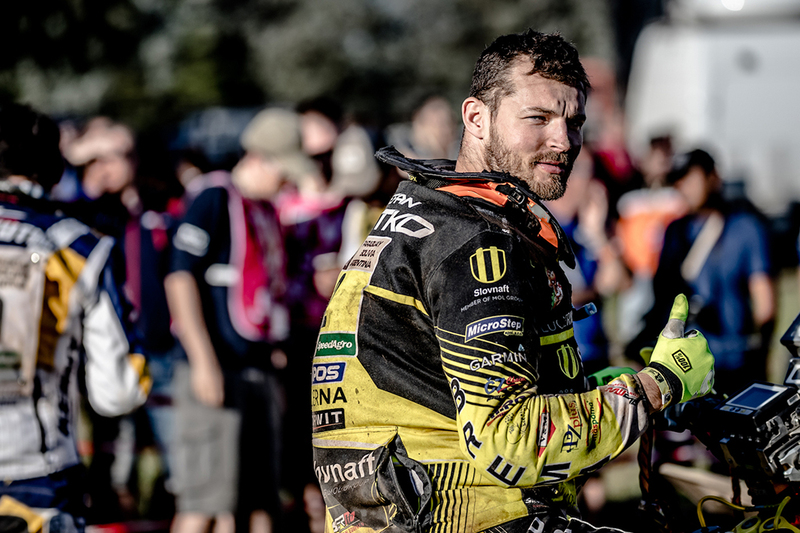 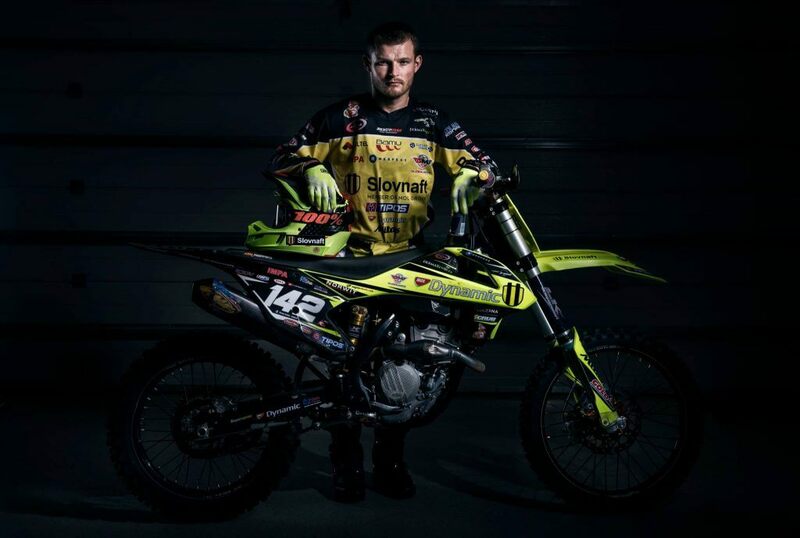 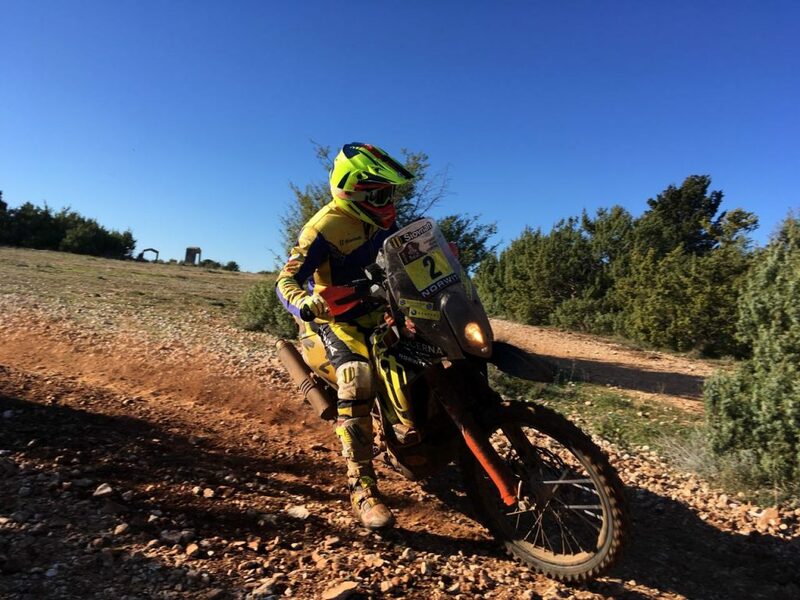 Regarding navigation, the second part of the special stage was very challenging, and Števo was wandering away for a while, but fortunately also all other riders got lost. 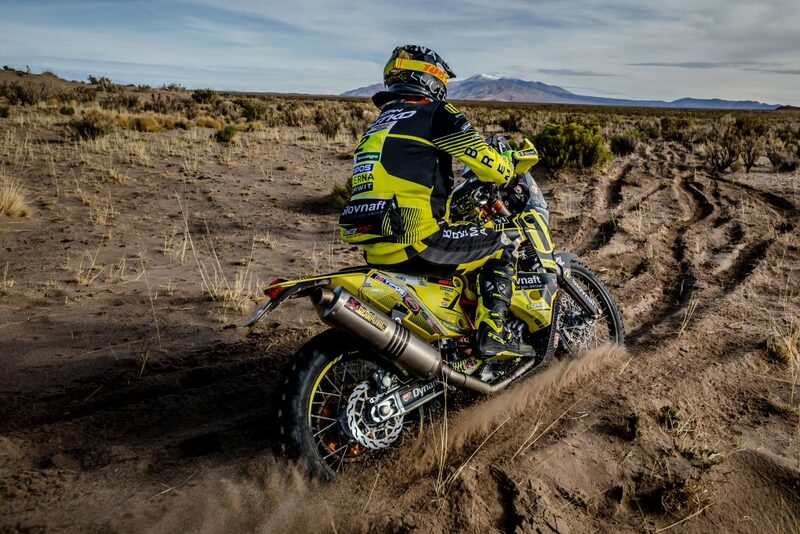 It was his best result in the Dakar Rally 2017 – he finished only 24 seconds behind the winner and placed 2nd! 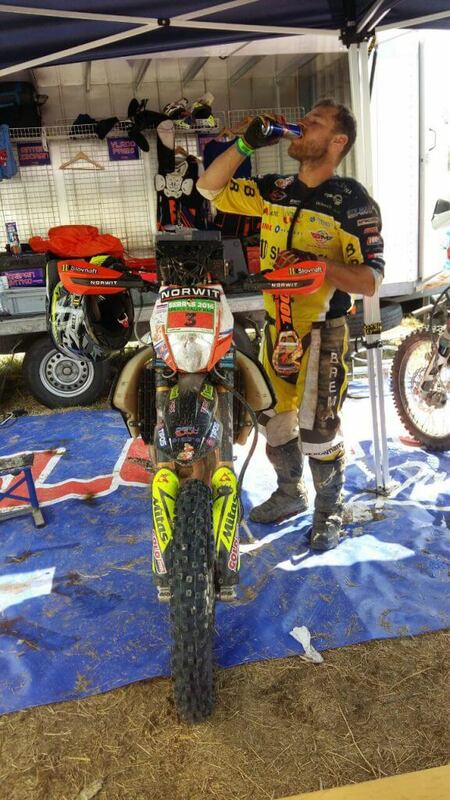 It was an incredible success – all factory riders changed tires after the long neutralization zone, and because Števo did not, he raced to the finish almost on slick tires. 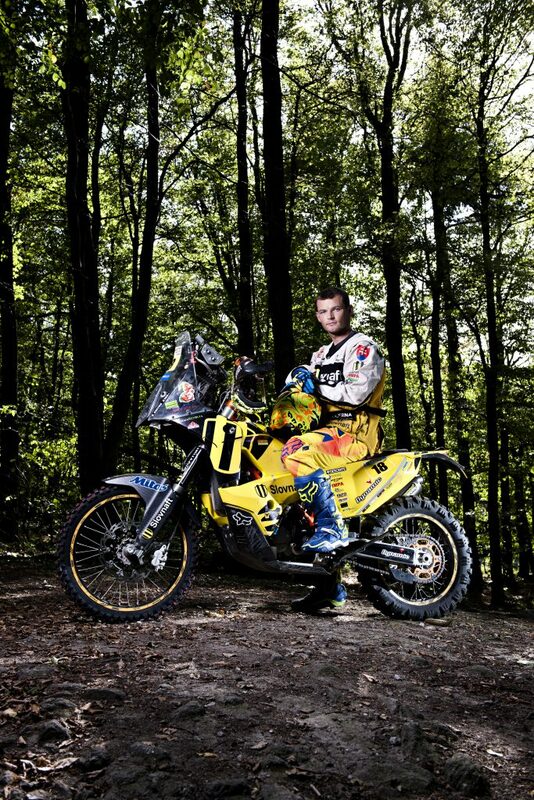 In the interview in the finish of the special stage, he mentioned that he wanted to win it. 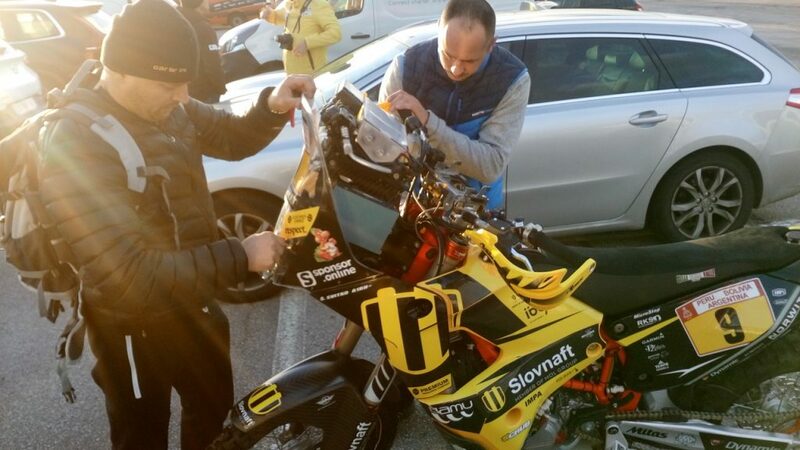 But then something happened what no one, even Števo did not expect. 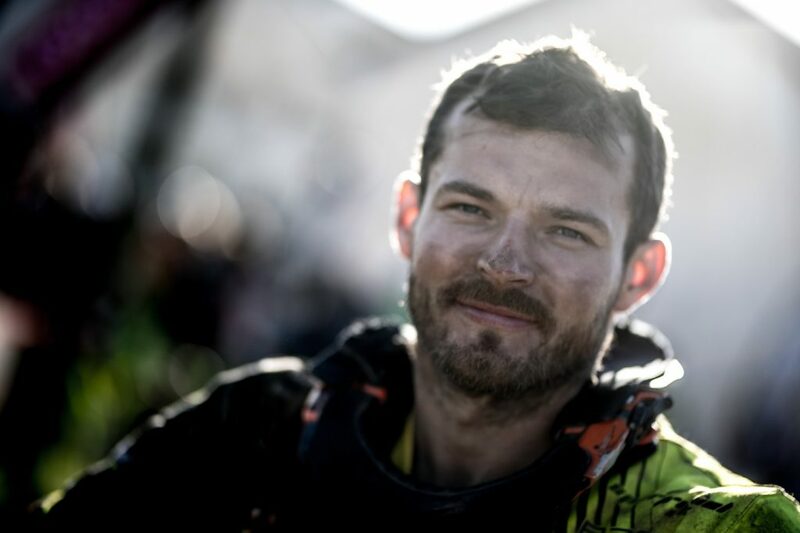 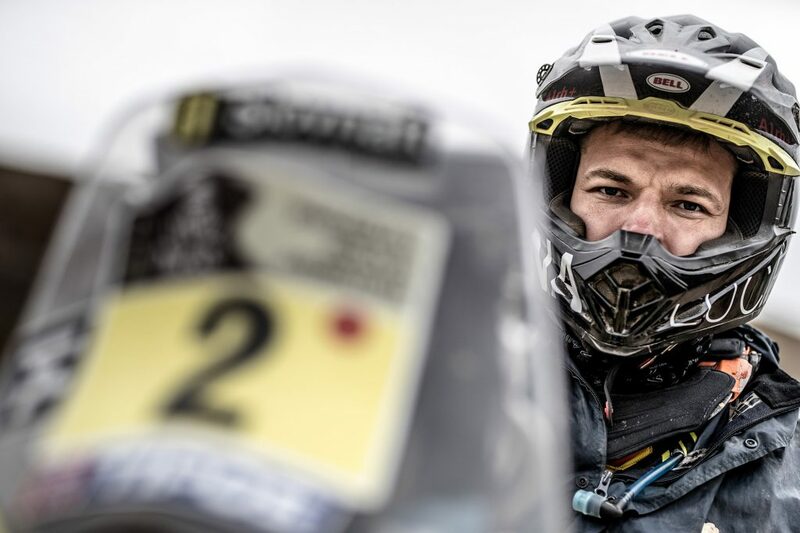 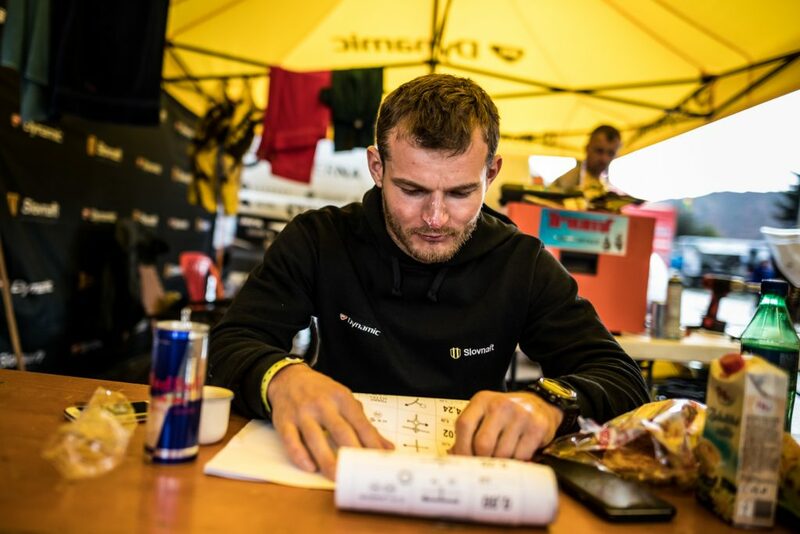 He had to drive the 49-km long connection stage to the bivouac, but he collapsed after few meters due to dehydration and exhaustion. 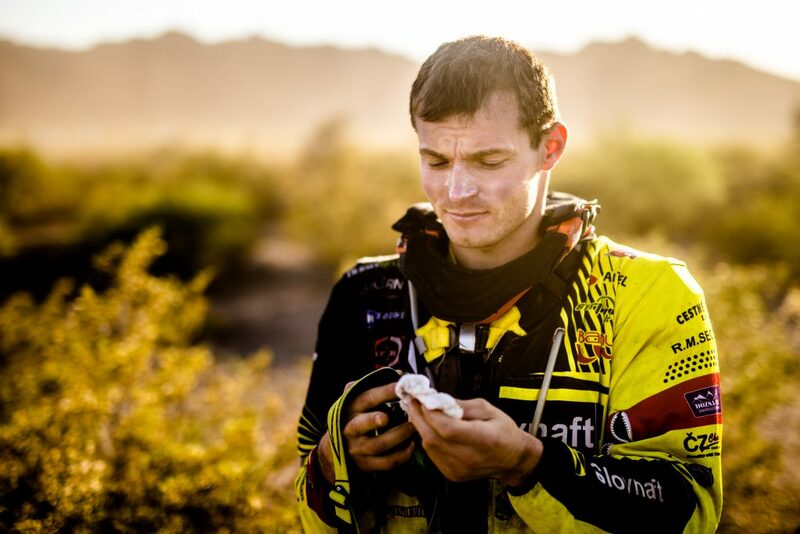 Later in the interview, he mentioned that he was not aware of dehydration. 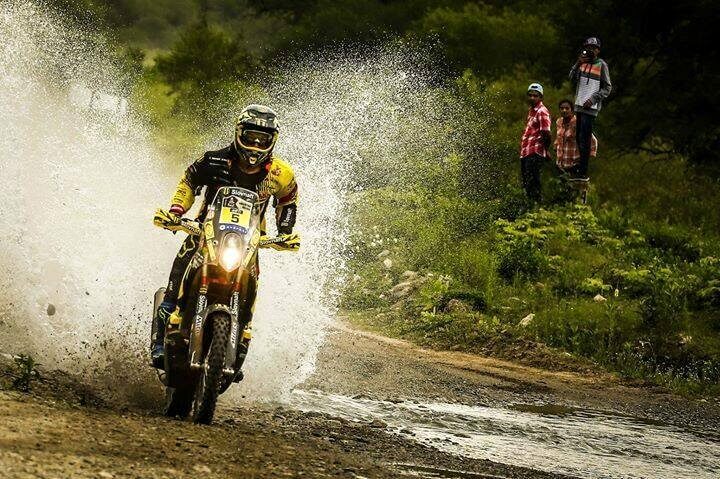 He thought he collapsed due to the shock that he did not finish in first place. 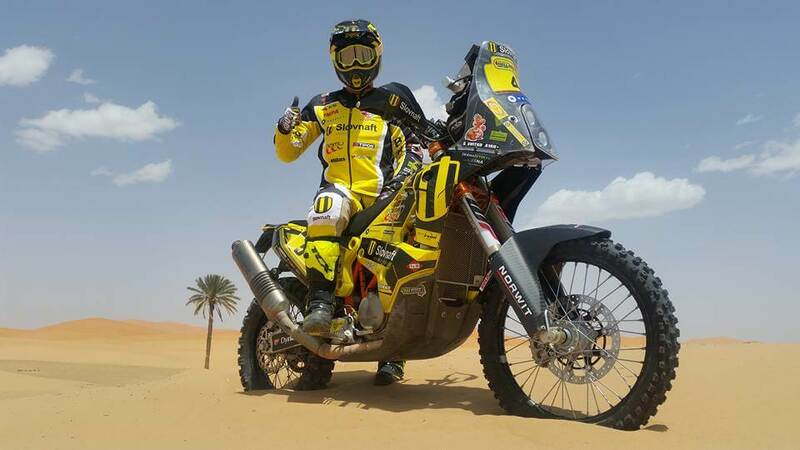 He was taken to Tango – a field hospital, where he was treated and given an infusion for rehydration. 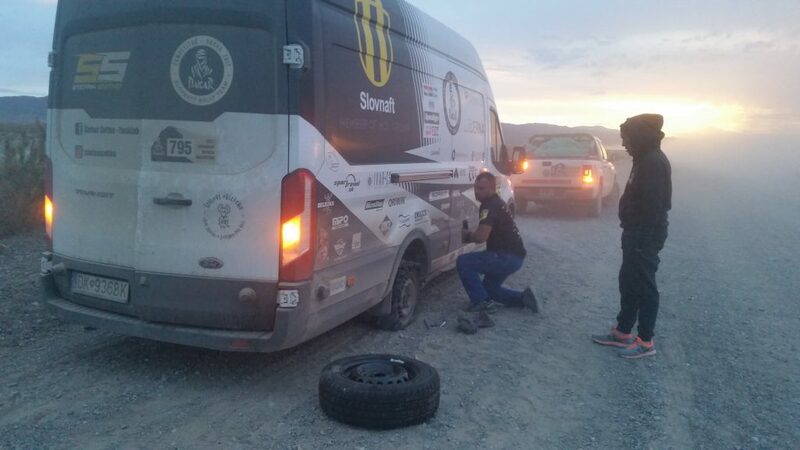 But Števo is very tough. 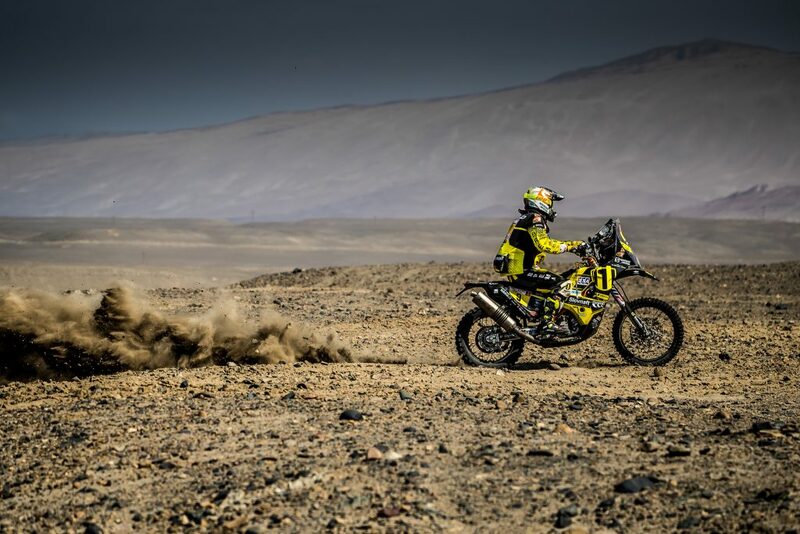 He jumped back on the motorcycle as soon as possible and finished the stage to the bivouac. 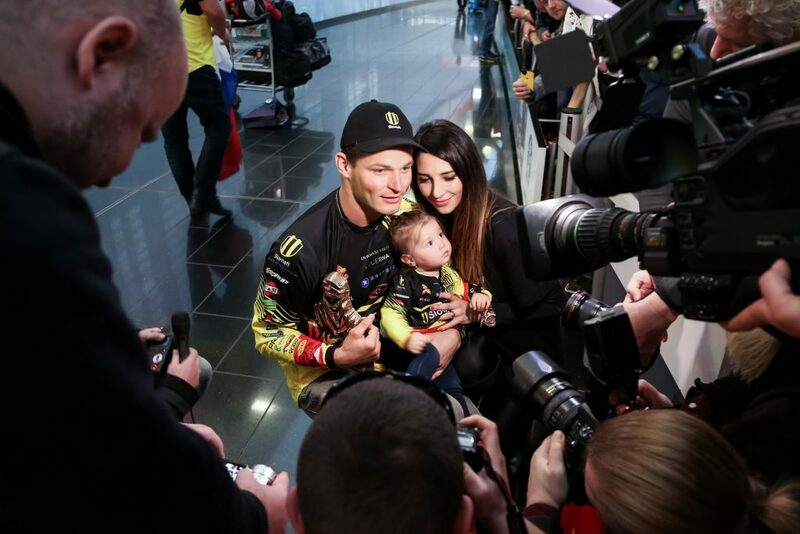 Although he moved forward to the TOP 10 in the overall standings, he expected the penalty for the late arrival. 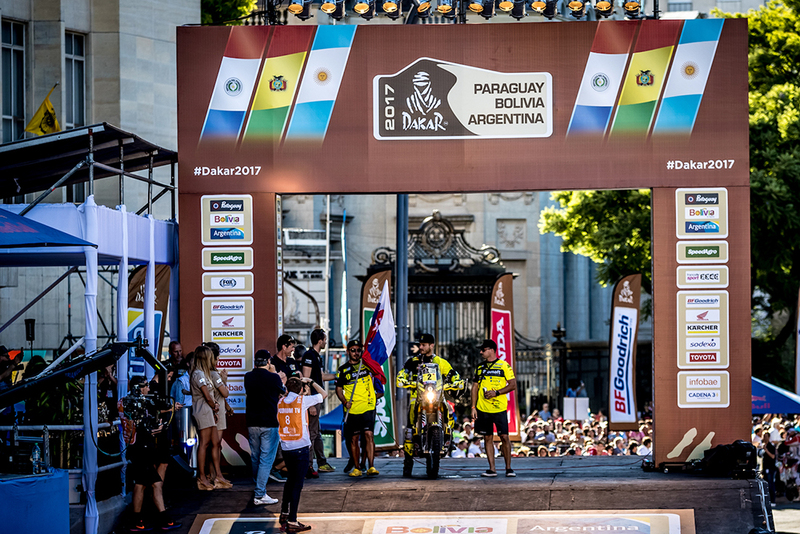 He was to arrive at 16:23, but he came at 19:55. 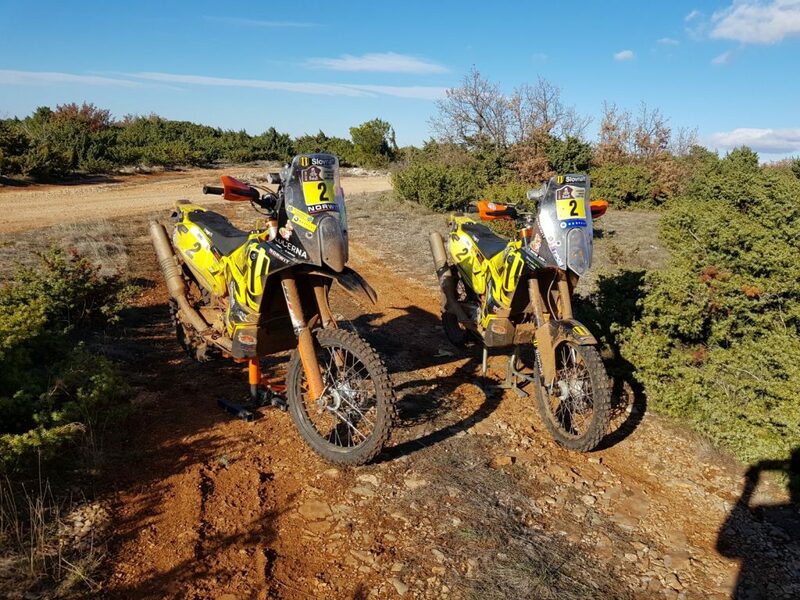 The speed test again consisted of two parts. 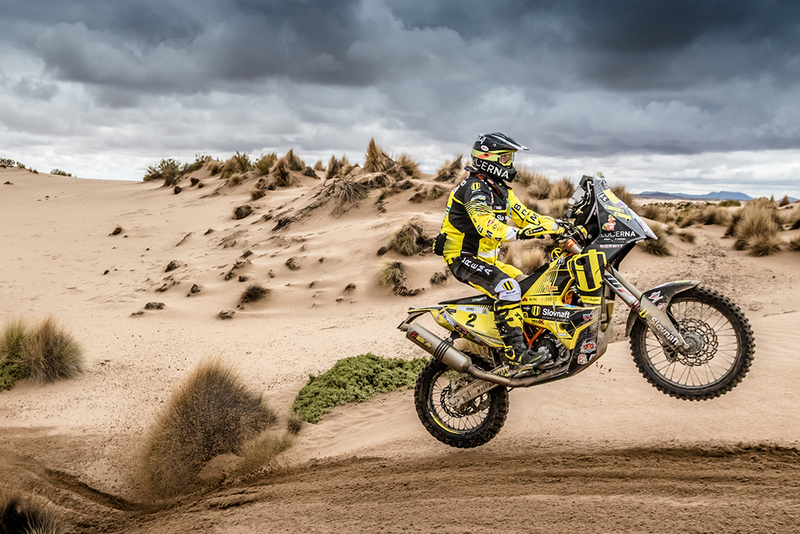 The first 60 km of the first part lead through sand-dunes and the second part was fast – in the WRC style. 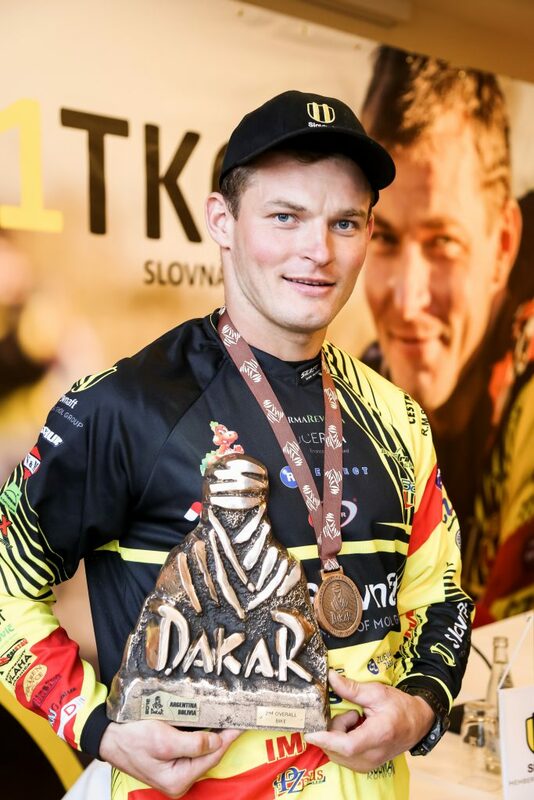 Števo succeeded in the first part, he finished 4 minutes behind the winner and placed 8th. 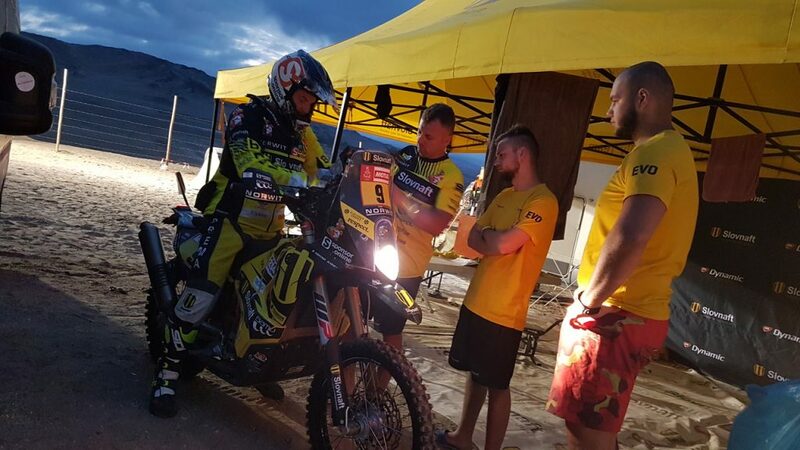 Števo was confident in the second extreme fast part, but he finished with the 9th fastest time because the track was full of dangerous spots, which were not marked in the roadbook. 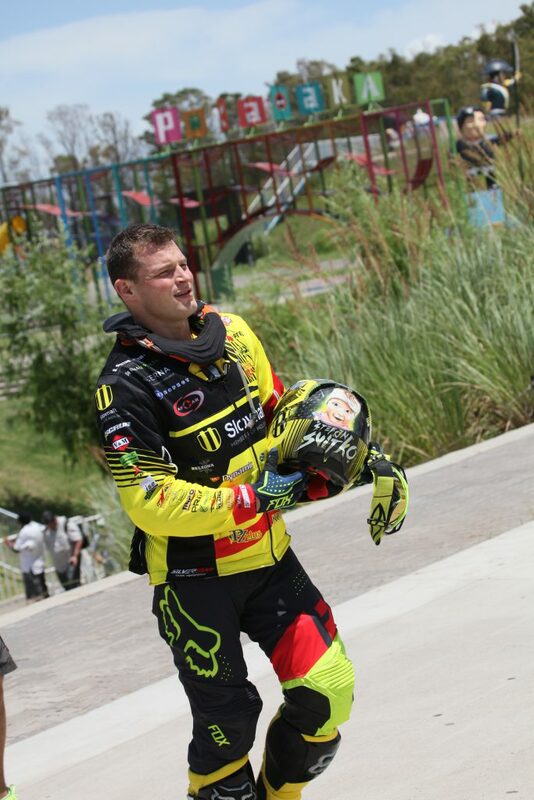 There were also 2 or 3 very dangerous jumps, after which he was glad he could continue. 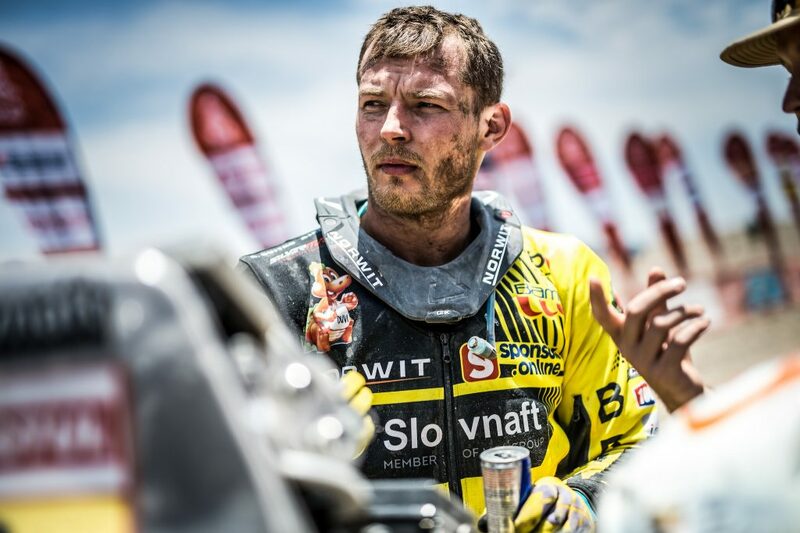 At the end of the day, the foreboding was confirmed, and Števo got a penalty of 3 hours and 22 minutes for the late arrival to the bivouac in the previous day which moved him to the 25th place in the overall standings.